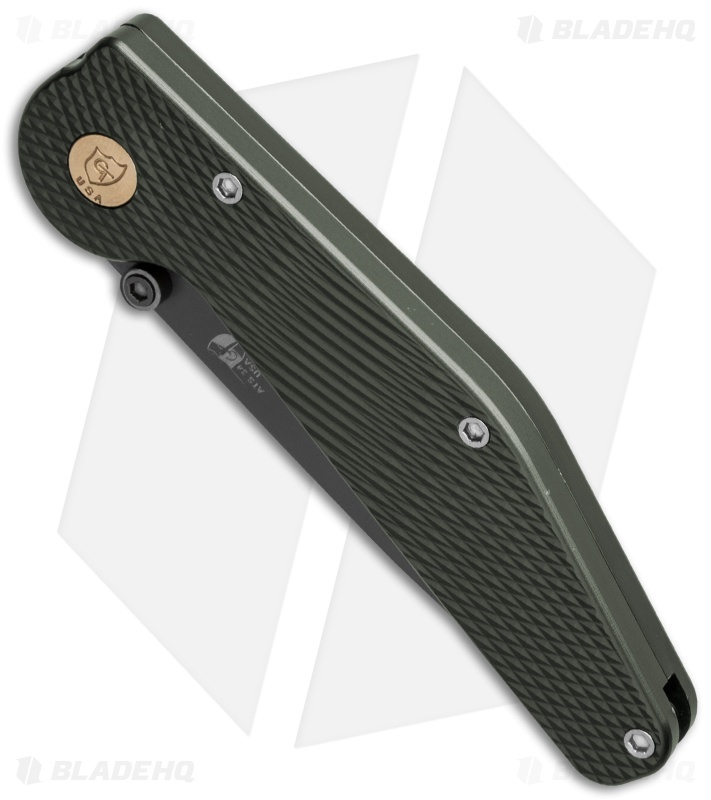 The GT Knives Police Automatic is a precision made, top quality auto. These button-lock auto knives have been designed with the closest possible tolerances on state-of-the-art CAD/CAM computer aided design equipment. These are super fast and lock up solid. They are CNC milled in-house by GT Knives. 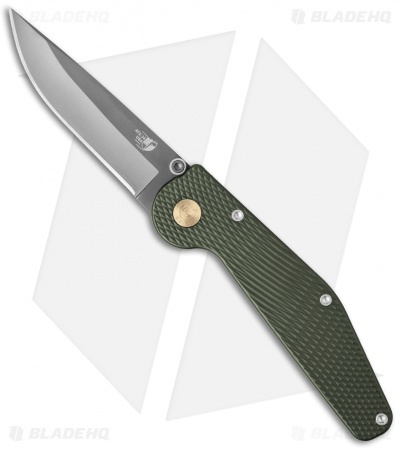 The Drop Point blade is made of ATS 34 steel and coated with a wear-resistant titanium nitride finish. 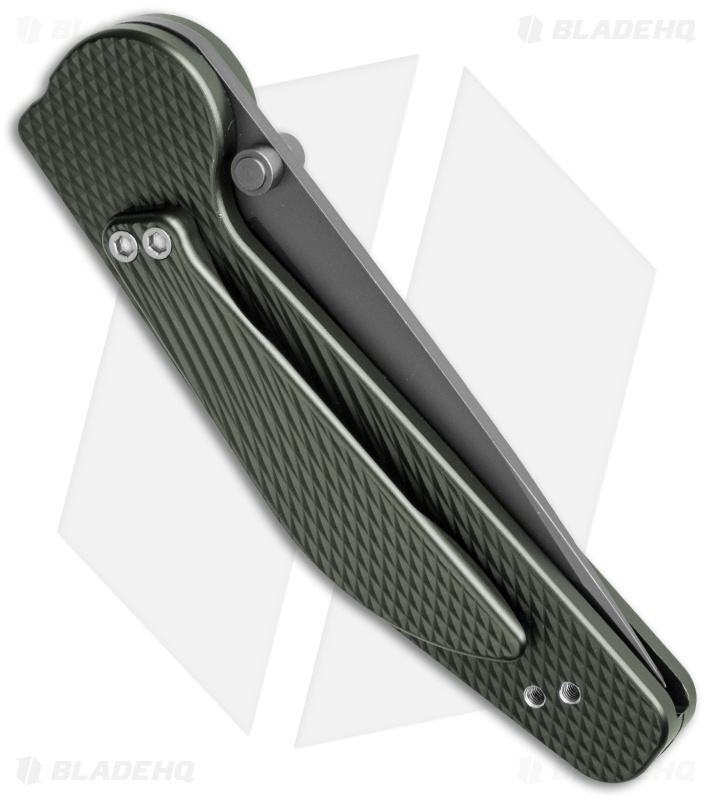 The handle features green anodized, CNC machined 6061-T6 aluminum with textured grip and a pocket clip to match. One unique feature of the GT series is that the pivot point of the blade is actually the firing button! Plain edge blade version.